Today we start early for the fabulous drive to the central valleys of Bhutan. The drive to Bumthang via Trongsa is about six hours crossing over Pelela Pass (3,300 m) and Yotongla Pass (3,400 m). The Central road, across the Black Mountains was completed 30 years ago, and it bough about great changes to the people in central Bhutan. We then climb steadily passing through semi-tropical vegetation and then to Pelela Pass(3,300m) with an alpine environment of rhododendrons and dwarf bamboo. This pass is traditionally considered the boundary between west and east Bhutan. If the weather is clear, the Himalayan range can be seen, particularly the peak of Jhomulhari (7314 m) to the west. En route we cross Chendebji Chorten built many centuries ago to suppress a demon. After lunch, we go out to view the impressive Trongsa Dzong, ancestral home of the ruling dynasty. In olden days the Dzong commanded the passage between east and West Bhutan. 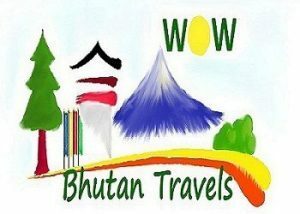 We then drive to Bumthang valley (described as “one of the most beautiful spot in the Himalayas” across the Yotongla Pass (3,400 m), overnight at hotel. This is one of the most spectacular valleys in Bhutan and also the heartland of Buddhism. The Guru and his lineage of Tertons (treasure finders), have led to the sprouting of many temples in the valley. In the morning we visit Jambay Lhakhang (one of the oldest temple in Bhutan built in 7th century) and visit Kurjey Lhakhang (where the Guru Rinpoche subdued a local demon and left his body imprint on a rock). Hike to visit the Tamshing Monastery (one of the oldest monastic schools built by Terton Pema Lingpa), After lunch, hike to Thangbi valley across the suspensions bridge and visit the Thangbi Lhakhang built in the 14th century, on the way back visit Jakar Dzong, (seat of the district administration).Evening stroll in Chamkhar Town. Dinner and overnight at hotel. The drive to Punakha via Wangdue takes about seven hours over the Pelela Pass and Yotongla Pass. Lunch served at Chendebji Chorten. Dinner and overnight at hotel at Punakha. After breakfast, we drive to visit Punakha Dzong, winter seat of the Je Khenpo and the Monk Body, remarkably located between the rivers of the Mo (Female) Chu and Pho (Male) Chu. The Dzong is open to visiters only in summer when the Je Khenpo and the monk body are in Thimphu. After visiting Punakha Dzong drive to Thimphu over the Dochula Pass. In the afternoon sightseeing at Paro. Drive to Drukgyal Dzong (a ruined fortress – 16 km away from town). The Dzong, although in ruins, holds great historical significance. It was from this fortress that the Bhutanese repelled many Tibetan invasions. The name means the victorious Bhutanse. This spot offers a magnificent vista of Mount chomolhari “Mountain of Goddess” (7,329). Visit a typical Bhutanses farmhouse on the way back. A short distance south of the road is Kyichu Lhakhang, one of the oldest temples in Bhutan, built in 7th century. This temple is said to have been built in 659 by King Songtsen Gampo of Tibet. It holds down the left foot of an ogress whose body is so large that it covers Bhutan and most of eastern Tibet. Also visit Rimpung Dzong, built in 1646 by Shabdrung Ngawang Namgyal, the first temporal ruler of Bhutan, it is now house of Paro monastic body and the office of the Dzongda (governor) and Thrimpons (judge) of Paro district. It is the venue of the Paro Tshechu(festival) held once in every year. Then visit Ta Dzong, an ancient watch tower. This Dzong was converted into National Museum in 1968. The museum boasts antique Thangka, textiles, weapons and armour,household objects and rich assortment of natural and historical artifacts. Evening stroll through the main town of Paro. Dinner and overnight at hotel. Morning drive till Satsam Chorten to hike up to the Taktsang monastery (Tiger’s nest). The hike up to the cafeteria will take around two hours of average walking speed and is located above 2,950 meters (9,678 feet) above sea level. At the view point enjoy the stunning view of the monastery where Guru Padmasambhava landed on the back of a tigress in the 8th century. After lunch at cafeteria walk back to the road point where your car will pick up and then drive to your hotel. Evening, do some last minutes shopping. Dinner and overnight at hotel.